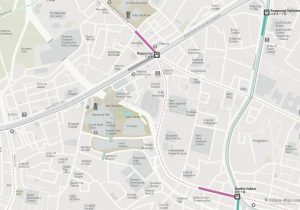 Tokyo Roppongi City Map - A Smart City Guide Map, Even Offline! The Roppongi City Map is a part of the Tokyo Wifi Map guide and shows in the mobile app version the wifi accesses for free internet use. The Tokyo Roppongi City Map can be found at App Store and Google Play. The Roppongi includes many major landmarks and points of interest, as well as the stations of the public transportation system. In addition to the maps, the › Tokyo Wifi City Map app for mobile devices provides marked free wifi spots, GPS positioning and more features for Toyko. Below you can get a glimpse of the Tokyo Roppongi City Map. 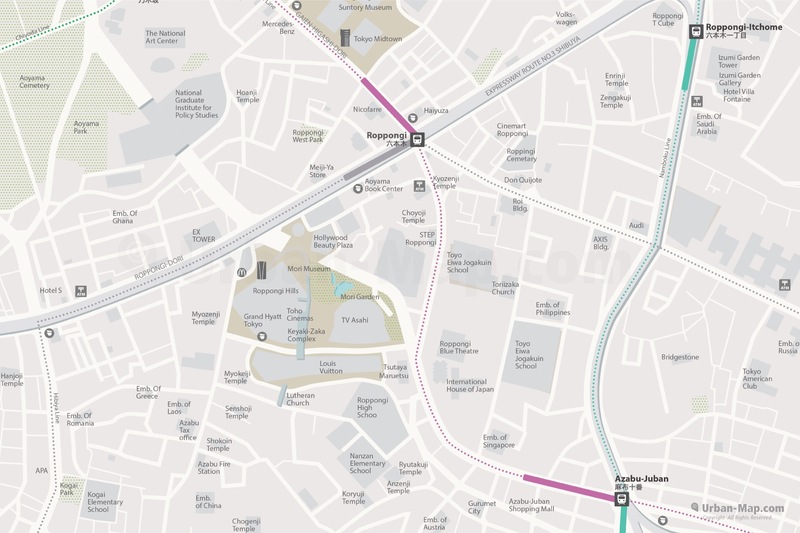 The map includes all stations, streets and landmarks. The Tokyo Roppongi City Map can be loaded in the › Tokyo Wifi City Map app and includes all important maps for Greater Tokyo.